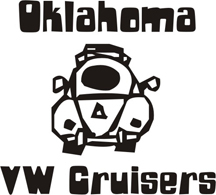 Oklahoma Vw Cruisers • 009 distributor help? I have been trouble shooting crappy idle and rough running since I purchased the car. I cleaned the carb, adjusted the valves, checked for air leaks, and everything else I could come up with. When looking at the distributor I couldn't find a notch on the rim for the rotor to line up with. I do know that at TDC the rotor lines up with the correct ignition wire. The only thing that looks like a mark is about 100 degrees from where the rotor is firing #1. Could the distributor be installed wrong? And would it still run this way (because it runs if I keep some accelerator on it but it won't idle and has a slight shake and a little blub blub blub sound that goes with tge shake that you can hear when it's running). Its also running real rich even though there is a small carb(30/31pict) on it. Last edited by dubdad on Sat Sep 03, 2011 6:42 pm, edited 1 time in total. I would love to get some help from somone. Being my first VW, I'm stumped on this one. I was going to get a new 34 pict 3 but dont want to until I'm sure it's the carb. The mechanic that did the carb change over from FI had the carb idling by turning the fast idle screw in about 10 turns. After cleaning I can't get it to idle that way either. Can't figure out why its running so rich at idle. I live in N. OKC BTW. carb might have a drilled jet in it. Ron at Bethany sold me a 135 main when I went in for a 130 because he thought that would be better. I tried it but went back to the "120" that was originally in it because it was already running rich. The pilot is a 50 but I also tried a 55 and the air correction is a 125z. Plugs foul up in seconds. Exhaust does leak out at the base of the pre heat tube on the left side, but that doesn't explain the PO's mechanic setting it up the way he did just to get it to run especially when he's the one who built it that way. Ever look down carbs throat with it running? yours the yellow vert for sale? Mine is definately not for sale . I haven't looked down the throat of the beast yet. It wont stay running long enough yet. I'm a little nervous to have.my hand on the throttle and my head over the top of the carb. The volume control screw didn't look great when I went through the carb and cleaned it. I replaced the o ring but the volume control screw in the kit was the wrong one. The old one was a little flattened on the very tip and it was grey not brass colored. I was going to try to find a replacement. The needle valve was also the wrong one so I put the old one back in. It seemed to be working because I couldn't get air through it when it was turned upside down but it flowed through fine when right side up, but I was going to try replacing that too. I've not used any new kits lately but usually come with the smaller needle screw, should be very very Sharp pointed. The large fat one usually is not included, but the end is just round. If your small one is flat on the tip might be prob. On a whim I went out and started messing with the car again. Decided thy since it was running so rich and the volume screw looked so warn that I would screw it all the way in and try to start the car. Of course, it worked. I actually got it to idle at 800-850 and cleared the black smoke. Idle pilot jet has to be cracked a little as well. So I'll go to Bethany this ween and see if I can get a new volume control screw. Probably wouldn't hurt to get a needle valve as well. This is th best it ever ran without having the fast idle adjustment screw turned in against the cam. Man it feels good (for now). If you have a timing gun with the knob on it, (if not go rent) rev that thing up to 3k and gun it with the knob on 28 on the TDC mark. not sure? pull #1 plug and check it. IF the dizzy is working correctly your idle setting should be good or good enough. That's exactly what I did immediately after I got I idling. I'm going to put my new set of non fouled spark plugs in after I get the new volume control screw. It just feels good to have it running right when it never has been since I bought it. It's not perfect but it's good for today. i was messing with a 30 pic 3 and had a 30 pic 1 sitting next to it for parts and my parts box, yes indeed there are diff length adjustment needles. i have some of each if bethany makes you buy a carb or kit, come get one.